If you’re a makeup fanatic you’re probably aware of the recent launch that swept not only the nation, but the world. 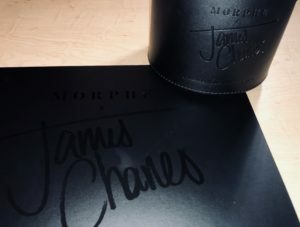 Several weeks ago, Morphe announced its launch with famous social media influencer, James Charles. The company launched the 39B Artistry Palette along with a brush collection all inspired and influenced by James Charles. 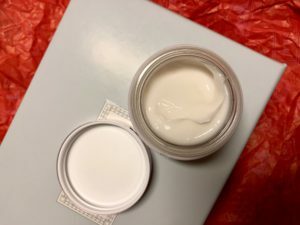 This blog topic was highly anticipated and although it has been widely discussed, I’m here to give my opinion since receiving my products! The background for the creation of this product is very interesting. Morphe discontinued their vibrant colored 35B palette and many artists were very upset; James Charles (who has rapidly gained a large number of followers) was particularly vocal about it. The awesome part about the launch was it was somewhat unexpected to the public, so when the news dropped makeup lovers everywhere ate it up. As soon as it went live online I–of course–had to jump on the bandwagon and add it to my collection! 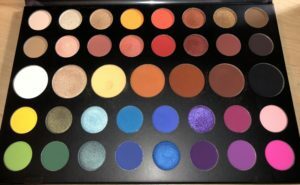 The palette features three different sections: the top two rows for more “everyday” looks, the larger, middle pans are “most-used” colors, and the bottom two rows are vibrant colors used for more “art-inspired, bold” looks. 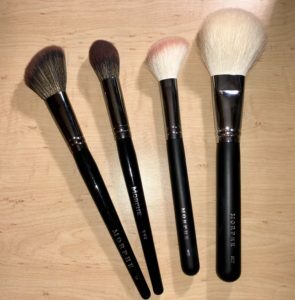 The brush collection features many different blending, packing, face, and eye brushes (including multiples of some), and the Morphe beauty-sponge. 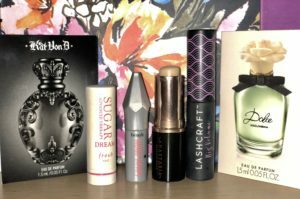 My initial reaction was that the packaging and case for the products were extremely gorgeous! The real tea, though, is the color payoff from the pressed pigments in the bottom two rows of the palette. Despite some negative feedback online, I have been extremely impressed with the colors and the blendability–which was the point of this collaboration. As I’ve said in other blog posts, Morphe is my go-to for eyeshadows and brushes. If you’re in your makeup a lot or doing makeup for others, this brush set is for you! The brush set comes with 34 brushes and a sponge in a hard leather cylinder tub. 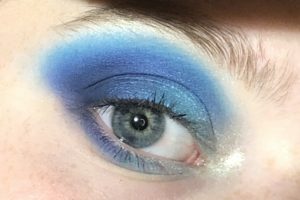 It is true that the colors do not swatch well on the arm, but when used with a nice eye primer (I use Urban Decay Primer Potion) and applied with brushes, it really does give off the color you see in the pan. As with any shadow or pigment, good blending takes time, and the products, in fact, do blend. My favorite thing about the brush set is the face brushes, the multiple blending brushes, and the dual ended eyebrow brush featured in the set. I often find myself on a chilly day cooped up in my room with nothing more to do than watch Netflix. And while I really value those lovely, laid back days, I need a place to escape. Generally speaking, I love food and a pretty, calm environment. That obviously means you can most likely find me in some of the various coffee shops on campus. These are my favorite cafes listed from best to worst and why. The selection at Brenen’s is fantastic! They not only sell coffee and pastries, but they have an awesome selection of sandwiches and snacks as well. I’ve found Brenen’s is a nice place to hang with friends. They have my favorite coffee by far on campus (try a Nutty Irishman)! They also have a punch-card (which I have used completely), but are a little bit more pricey than that of Court Street Coffee. Support an alumni!. Donkey takes my number two spot solely based off of its super laid back vibe. Its interior has kind of an intricate layout, but when you walk in it just looks and feels so mellow. Not to mention their products are great as well. Not too pricey. And again, supporting local business is great. Court Street has pretty awesome coffee drinks, pastries and smoothies. In my personal preference, I do feel a little put off by the sit-down vibe in the shop, but they have plenty of room and a cute set-up. The prices here beat that of the other cafes in my opinion. It’s a great stop when you’re on the move and need to grab a quick drink. Catalyst takes my number four spot. Before you anticipate why, it’s because I have only heard about it and have not yet tried it. 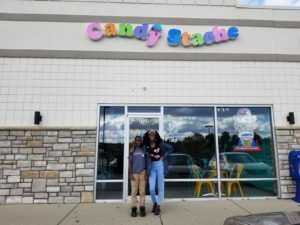 I wanted to include it on my list because I feel inclined to support this local business as well, and I know it is well-liked by some friends who have been repeat customers! I cannot give my complete discretion on this location, but of course, coffee is coffee. My number five spot is Starbucks. While I do like this chain coffee company, it is hard for me to justify spending a large amount of money on corporate coffee knowing there are small cafes with coffee just as good that support local people. Even if you aren’t currently a student at OU, you are now aware of some pretty awesome coffee and hangout places to check out when you’re around Athens. Don’t forget how important it is to support small, local business. You’ll be helping out your community while enjoying a delicious coffee or tea drink. Many people either know what life is like to be a sibling, or what it means being an only child. For 17 and a half years, I knew what it was like to be an only child. I was constantly surrounded by adults except for the interaction I had at school or dance. I never wanted another sibling because the young me feared the unknown of sharing attention and space. I even used to say I didn’t like kids and I’d rather be around adults. I was content with the time and attention I got from my parents and it seemed as if that would not change. 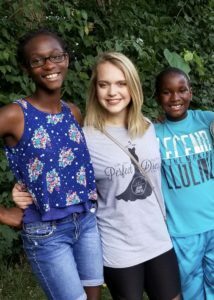 Within a few short weeks I went from being an only child to sharing a home with two children who once were simply my neighbors. I took on the “big sister” role, but without the typical nine months to prepare. The fact of the matter is, just because you take on the role of sibling when your parent makes the decision to foster a child, doesn’t mean you become a “sister” or “brother”. Those terms come with relationship development, to many, they are terms of endearment. I was not granted that endearment at first, and I wasn’t sure I was ready to. When a nine and twelve-year-old move in, a lot changes, and so do you. 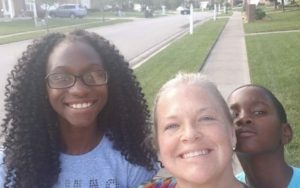 Nearing the midpoint of my senior year, when my mom decided it was in the best interest of our neighbors to move into our home, my world was flipped upside down. No, I didn’t freak out, but I felt many moments where I was longing for the solidarity of my past life. I never expected I would have to become a new type of role model where someone is looking at my every move. The change wasn’t horrible, it was in fact a really good growth opportunity for myself, my mother, and our two new family members. Now, I won’t go into detail of our transition, or explain exactly where we struggled, but I will tell you how I have changed over the last 10 months. I have learned to be exceedingly patient in situations and with questions. I have learned how to hold my tongue. I have learned that as a child, you don’t always need to know why the answer is no. I have been able to reflect on my own childhood and understand that when my mom or dad did things I didn’t like, it was generally in my best interest. I will never forget my mom saying, “you might hate me now, but you’ll love me later.” I have learned what it means to be respected and disrespected and how to remain confident in those times. I have learned to be a different kind of role model. I have learned how to love differently. I have learned how to be more understanding, considerate, and compassionate. The past 10 months have proved difficult, but have played a part in the development of becoming a strong adult. I miss Shawna and Aaron when I’m away at college. I love to laugh with them and talk with them. To see how much they have changed in 10 months is incredible! And while I know I’m not always there and it gets hard at times, I love to see how my mom has changed and the difference she is making in their lives as well. All this to say, these things wouldn’t be possible without the love and trust in Jesus, which is the only reason any of us have made it as far as we have in this journey. Although I was able to learn a lot as an only child, I was able to learn more by becoming a sibling. I am grateful to now be considered a sister. One of the biggest issues I find with purchasing makeup is that once I’ve used it, I sometimes regret buying the product. It seems to be quite common that we end up returning or not re-buying a product we used once. Yes, this may happen for a multitude of reasons, but the one that seems most common is that we are making uninformed purchases or buying based off of recommendation. A simple way to avoid these issues would be to try the product yourself before buying it. Okay, now you’re probably wondering how you might try the product without blowing a bunch of money. A subscription box is the answer. And now you’re probably thinking, “don’t I have to pay for a subscription box?” Here is why I think it is absolutely worth it to subscribe to a box. 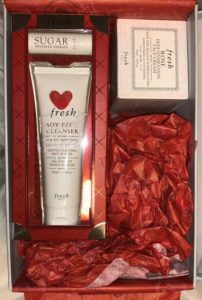 A box gives you a range a products to use: moisturizer, all types of makeup products, face masks, cleansers, perfumes, and sometimes even makeup tools. A basic subscription box will give you around five products, plus shipping for only 10 dollars! You get time to test a product and see if it suits you before you decide you really want to buy a full size. It’s really nice to receive mail, especially when it’s a nice little package of beauty products and not bills. There are several different types of boxes you can subscribe to: Sephora, Ipsy, Birchbox, Boxycharm and more. The most important thing to look for before signing up for the monthly box is reviews and ratings. 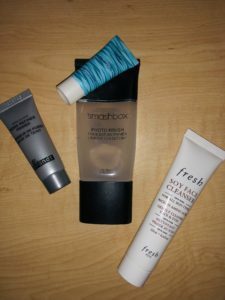 I highly recommend a Sephora Play box. I started receiving one last month and I love it. All of the products I’ve mixed into my routine and I’ve even found things I am willing to purchase in the future! 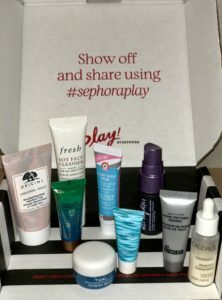 The first option for a Sephora Play box starts at whopping 10 dollars and comes with 6 items! You can upgrade to more products and the price increases with the product increase. With a Sephora box, you can also use points you receive in your box toward purchases at the store. While Sephora offers non-customizable boxes, brands like Ipsy allow you to customize your preference of the products you receive. 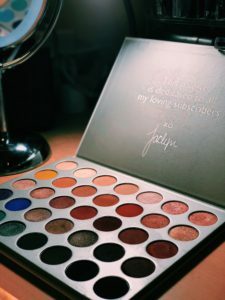 A subscription box is definitely not a necessity, but if you’re buying makeup or looking for holy-grail products, it would be a great (small) investment to make. Take it from a fellow makeup fanatic, it’s totally worth it and you won’t regret it! Like most people, I experience moments of bad skin or develop a breakout, only to wonder: how could I have avoided this issue? Whether or not you’re a college student, a high school student or a middle-aged woman, a correct skincare routine is super important. 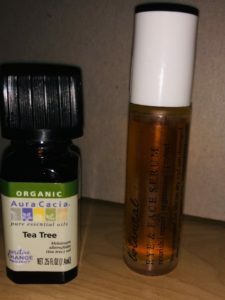 I’ve been spending some time doing research on how to take better care of my face, and hopefully through my process you can learn something to benefit from as well. For a daily routine, we will start out with the steps for the morning. It’s super important that when you wake up (before you even touch makeup) you should apply a moisturizer. 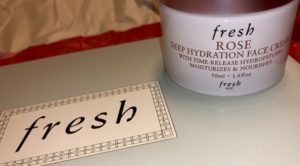 This moisturizer should be suitable for your skin type. If you suffer from dry skin, you’ll want a thicker cream. Lotion will not really help in giving your skin the proper moisture. If you have oily or combination skin type, then a lighter, hydrating (water-based) gel might work better for you. You may also try lotion although I don’t really recommend lotion as it can contribute to clogged pores. Also, before applying your makeup, use a face primer. If you have large pores, using a pore refining primer is most beneficial. 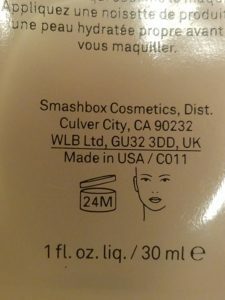 I currently use the Smashbox Photo Finish Primer and it not only fills in my pores, but holds my makeup in place all day long. Again, if you suffer from dry skin, a hydrating primer would work nicely as well. After you’ve rocked the day, with or without makeup, your nighttime routine could make or break your beautiful skin if you don’t do the right steps. To accomplish and maintain clear skin, you can end your night with these simple steps. 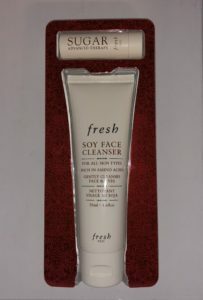 If you are wearing makeup, remove it with a makeup remover of your choice and then proceed to rinse your face with lukewarm water and cleanse with a facial cleanser like the Fresh Soy Face Cleanser. Next, rinse the skin, pat dry with a clean dry towel, apply your moisturizer and if you choose to use a skin oil to help clear acne make sure that is the very last step so that the oil isn’t trapped in your pores. Organic oils and essential oils can be great for toning, calming and cleansing the skin. An oil blend may enhance a youthful look and oils like a diluted tea tree oil can help reduce redness and shrink acne. It is also very important that your pillowcase is regularly washed or changed as it can collect sweat, drool, oil and dirt which can have a huge effect on your face. You may find that a good moisturizer and facial oils will help keep skin supple and can prevent the occurrence of fine lines and wrinkles. Lastly, as indulgent and lovely as it may be to use a face mask, I recommend doing these masks only once a week. Overusing face masks can irritate the skin or cause an imbalance in the skin’s natural oils. Also making sure the mask you use isn’t packed with crazy chemicals is super important. 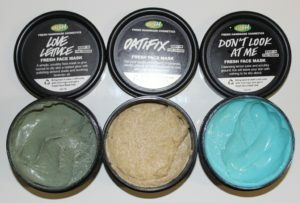 A mask from a brand like Lush or Origins would be great for most skin types as they have products for different skin types and are often vegan, cruelty free and organic. A few simple changes in your skincare routine can really alter the health and appearance of your face. Keep in mind these steps may not cure your acne, but it can definitely help. Making sure that you’re drinking plenty of water, maintaining a nutrient rich diet and not accumulating lots of stress will also play into avoiding breakouts and maintaining youthful skin. I hope this serves as a helpful tip to guide you to the correct facial care! If you’ve ever contemplated subscribing to a subscription box be on the lookout for next week’s post about the pros and cons of a subscription box and why I recommend one. Until then, have a wonderful week! How often do you find yourself looking at new products or realizing you need to restock what you’re running out of? Throughout the week I’m viewing products I could see myself adding to my weekly routine, but the prevalence of beauty products in our everyday lives doesn’t change the cost of what enhances our look. I’m here to provide a bit of relief this week with some relatively low-priced, but high-quality makeup products. Morphe brush sets are always a steal. They come with a variety of face and eye brushes (bundled or separate). The bristles are never too soft or stiff and maintain their shape nicely. They don’t often lose hairs especially when washing them. Sets run a range of prices depending on how many you purchase. 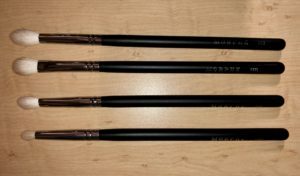 Individual brushes can sell between $3-$10. Morphe also has a very nice beauty sponge which expands slightly when dampened and it’s not too stiff. The price of the sponge is $7. You can also use codes for Morphe products which can take 10 percent off of your total (many makeup gurus have codes you can find by searching for a Morphe discount code ie. code JAMES or JACATTACK). The list of face products include: e.l.f. 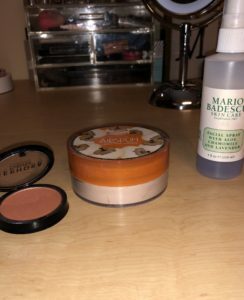 Poreless Primer ($6), Maybelline Fit Me Foundation ($7.99) and their concealer ($6.49), Coty Airspun loose translucent setting powder (around $6-$8), Wet and Wild Color Icon Bronzer ($4.99), Sephora Collection Colorful Face Powder blush ($7), Wet and Wild Megaglo Highlighting Powder ($4.99), and for setting spray, Mario Badescu Facial Spray ($7). You’ll find the Coty powder to be smoothing, brightening and will hold your makeup in place (just don’t over apply). The Sephora blush is easily blendable and pigmented as are the Wet and Wild bronzer and highlighter! My favorite out of this list is the facial spray, it can be used to set makeup or just as a facial spray as a part of your skincare routine. It’s not filled with super harsh chemicals and really calms the skin! For an eye primer you can use concealer and set it with a light dusting of setting powder to set your lids before applying shadow. Eyeshadow palettes can be hard to find at a decent price, but still be pigmented and blend-able without having tons of fallout. As for highest quality for a good price, I highly recommend Morphe’s eyeshadow palettes because they are not only creamy and blend-able, but they are pigmented and have little fallout. Most Morphe palettes contain 24-39 shades, and prices range from around $24-$38. E.l.f. has a nice black felt tip liner which runs around four dollars. Maybelline has a range of decent mascara products one being the Colossal Volum’ Express mascara ($7.77), which is also great in its waterproof formula. Finally, Vegas Nay false lashes are a great way to enhance your eye look for under 10 dollars. My go-to for false lashes though are the PÜR Pro (faux mink) lashes which are 3D and wearable up to 30 times! NYX products are always a steal! The NYX Micro Brow Pencil is a great way to shape and give the look of fuller brows with the precise tip and spoolie brush. This product is around $10 and the brand also carries other brow products like gel, pomade, and powder which work just as well (depending on preference). Last, but certainly not least, to wrap up our look we can’t forget to add a good lippie! Sephora Collection lipsticks are not too drying and don’t slide around much. They have an awesome selection of creams, liquids, mattes, demi-mattes, and glosses. These lip products range from $5-$14 depending on the product type. Overall, you won’t have to break the bank if you buy smart. Not all expensive products outweigh the pros of their cheaper counterparts (although some are a nice splurge). Hopefully this helps beginners selecting products that work for best. And yes, while it is possible, some may not measure up to your standards, it’s all about what suits you best! Come back next week to discuss the importance of a correct skincare routine! This week will take a slight turn. 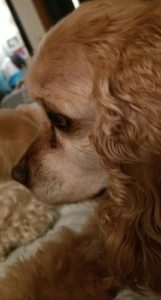 Last Tuesday, my dog was put down and I have been thinking about writing something to remember the last 10 years of having her in my life. We will pick back up on affordable makeup next week. This is dedicated to the love I felt in a little copper-colored Cocker Spaniel. To preface her life there is just a blank chapter. She came from a rescue group, she had been bred young, and she had no legitimate name. She was skittish, antisocial, and meek. 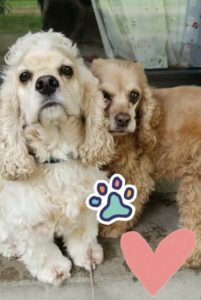 We had two foster dogs come to our home in 2008; one was a playful, happy dog and the other dog, not moving other than her fearful trembling. The choice was up to me as to which one would stay permanently. I chose her and named her Zoey. Zoey wouldn’t move off of our beanbag for several days, so I hand-fed her until my mom said I had to stop because she needed to do it on her own. Eventually, she moved off of the beanbag and into our hearts. At some point she stopped shaking so much and began to trust the two of us. Somehow, Zoey developed new names along the way: Zosephina, Peena, ZoZo. She wore dresses, didn’t wear leashes, and loved to sneak to the dumpster to find a late-night snack. 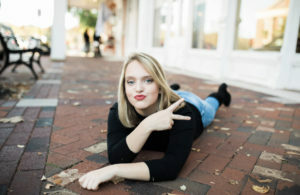 She learned how to give high-fives, roll over, play dead when you pointed your handgun at her, army crawl… and wink. Yes, she winked. Anything for a treat. Around 2012 we had a huge scare. Zoey was playing in the yard and stopped walking. She just sat in the yard, her whole back half paralyzed. This dog licked away so many tears, provided so many smiles and good cuddles. We couldn’t lose her this soon. Luckily, she pulled through after a very expensive surgery and many weeks of recovery. Her personality grew increasingly as did the nicknames: Peanut, Penny, Pasta, and more. Her excited hallway runs and prancing feet never ceased to crack us up, she totally knew she was making us laugh. Cocker’s are the most stubborn breed I’ve ever encountered. The funniest and most stubborn moments were when she would chase a ball and pick it up. Only to look up, then drop it and come back with no ball… even though she knew she was supposed to bring it back. 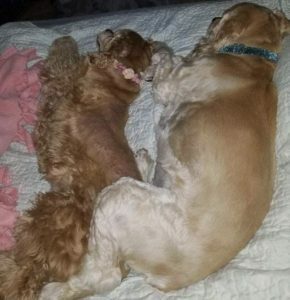 She ran the place through numerous foster dogs, but when a new little blonde Cocker puppy came to stay, well, it was a change of pace. She became increasingly playful in her older age despite some physical setbacks. She loved to cuddle next to her furry sister and lick her mom when she wanted to be pet. 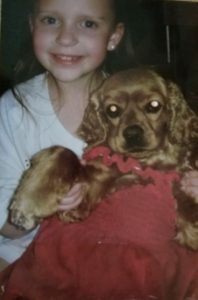 Yes, Zoey endured pain and encountered neglect in her lifetime, but she also fell into the hands of a gentle family who loved her so much (and spoiled her) because of the sweet, fun-loving demeanor she had. To sound cliché: losing a pet is like losing a family member. She was my sister until I had a sister. She was there to listen and wipe away tears when no one else was there. She made us laugh and now cry. But, I can’t help but feel joy through mourning because I know I was blessed with her existence. She taught me perseverance and strength and the importance of change. She was a trooper, which reminded me to not sweat the small stuff. Responsibility and care come when you are required to care for another living being; animals shape the world we live in for the better. I loved her so much. The best part is, I know she loved me too. I’ll miss those big brown eyes begging for a piece of my dinner, but I know she is in a better place where she will feel no pain and know no illness. Thank you for taking time with me this week to reflect on the loss of a loved one. I hope this reminds you to appreciate the people and small blessings in your life. Take some time to show someone some love this week, whether they are a person or an animal. Of course, stay tuned for next week’s tips on good products that won’t break the bank. As busy humans, we are often so focused on the large scale that we sometimes forget the importance of small things we encounter in our lives. What if I told you those small scale things are affecting your body in ways you didn’t even realize? Simple things like the way you apply your makeup or how you take care of your razor, can increase risks in your health and hygiene. 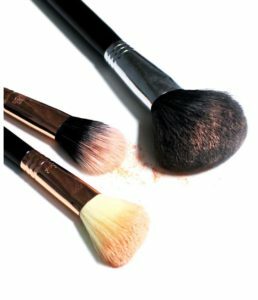 Dirty makeup brushes carry loads of bacteria and dirt on them. If you haven’t cleaned your brushes in awhile, chances are, you’re swiping pore-clogging grime all over your beautiful skin. Not properly washing and drying your brushes and sponges can lead to a multitude of issues: increased amounts of acne, higher risk of developing a staph infection, poorly applied makeup, and an increased risk of developing wrinkles or fine lines. Taking the steps to properly cleanse your brushes can help save you money on skin care and reduce your risk of skin damage. Cleaning your brushes can be a pretty painless (and satisfying) process. You can find a safe brush cleanser at a beauty store like Ulta or Sephora, but you may also find one at a store like Target or online. It is recommended that you use a cleanser that will be delicate on the brushes and will not affect your skin. You could also use a baby shampoo if you cannot find a brush cleanser. To clean, simply wet the brush hairs or makeup sponge, apply a small amount of cleanser and gently massage and lather the hairs. Next you’ll want to rinse the tools clean in cool water until all of the residue is gone. Finally to dry your brushes, lightly squeeze the bristles to remove the excess water and find a flat surface where you can lay the brushes. Do not put the brushes in a cup upwards as that can loosen the glue holding them together. If you’re doing makeup a lot, you could also invest in a rack to hang the brushes upside down and remove them from your countertop. Allow the brushes several hours, or overnight, to fully dry before applying your makeup again. 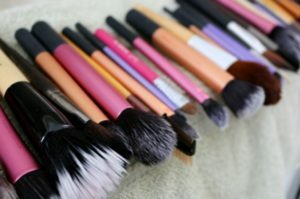 You should be cleaning your tools weekly or biweekly depending how often you apply makeup. Another very important piece of advice regarding beauty and hygiene is surrounding your razors. 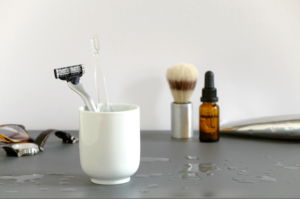 Razor care is so important, not only because you’re using a sharp object on delicate skin, but also because the way you care for that razor can determine whether or not you suffer from razor burn, ingrown hairs or irritation. It is highly recommended that once you are finished shaving you rinse the blade and gently blot the razor on a dry towel. Blotting the razor will prevent you from dulling the blade, as well as remove the excess water, which can cause your blade to rust or grow bacteria. Shaving with a dull, rusty blade is not only painful, but extremely dangerous to your health. Store your razor in a cool, dry place, not in the shower. Finally don’t share your razor with others and be sure to switch out the blades every couple of weeks. These steps will enhance the lifetime of your razor and keep your skin smooth. Finally, you’ll want to grab a piece of makeup you own, like a bottle of foundation or an eyeshadow palette. Somewhere on that packaging you should find a tiny little jar icon. Inside that icon you will find a number with an “m”. 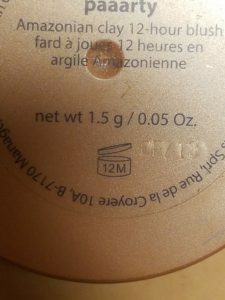 This is the recommended life of the product before it “expires”. It is important to keep in mind that, while it is a suggestion to upgrade your product after owning it for six months or a year, you don’t have to. Powder products are much more likely to last longer than the expiration date, but products such as mascara, lipstick, foundation, and concealer should be thrown away and replaced. These products are much more likely to contain bacteria, and the quality of the product will begin to break down or deteriorate. Example: If the product says “6m” its lifespan is six months. “12m” or “24m” is one and two years. Maintaining the life of your tools and makeup are super important and pretty simple! I hope these few tips serve as a reminder that taking care of your products is a part of taking care of yourself. Next week will be all about affordable, good quality makeup. Stay tuned!